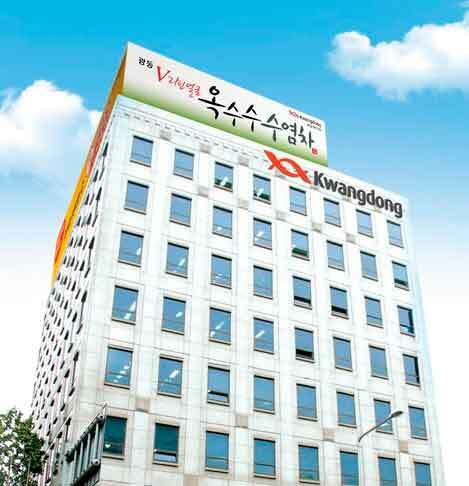 Kwangdong Pharmaceutical said Monday that it has signed a licensing agreement with Antibe Therapeutics, a Canadian pharmaceutical company, to gain exclusive domestic rights for ATB-346, a nonsteroidal anti-inflammatory drug candidate. ATB-346 is a drug that improves the pain associated with rheumatoid arthritis and osteoarthritis. The treatment also enhances gastrointestinal disturbance, a side effect of the existing non-steroidal anti-inflammatory analgesic. Antibe Therapeutics is planning to proceed with phase 3 clinical trials and apply for a new drug application (NDA) to the U.S. Food and Drug Administration (FDA). "As a result of recent clinical trials in Canada, ATB-346 has proved that it causes almost no gastrointestinal disturbances compared to conventional drugs," Antibe Therapeutics official said.